SanctionsAlert.com provides authoritative and objective guidance, news, webinars and other training to corporations, financial institutions, lawyers, consultants and others on the requirements of and compliance with economic sanctions and export controls imposed by the United States, United Kingdom and other governments throughout the world, as well as by the United Nations, European Union and other international organizations. Economic sanctions imposed by the United States, United Kingdom, Russia, Canada, UN and EU are complex and fluid. They have broad implications for companies and other organizations that do business with countries, organizations and persons that are the subject of economic sanctions and export controls. Often, it is necessary to comply with US and EU sanctions at the same time, even while operating from the EU. Failure to comply with sanctions can have serious consequences, including great reputational harm. The webinars and other training and guidance offered by SanctionsAlert.com help persons who work in organizations subject to sanctions understand the direct and indirect issues that flow from them and to do their job better. SanctionsAlert.com is guided by an Advisory Board whose members are top experts from diverse backgrounds and countries. These experts provide their knowledge and experience to assure that the content that appears on SanctionsAlert.com and in its courses is authoritative, current and leading-edge. Who benefits from the SanctionsAlert.com training and information? Training topics cover sanctions risk management and compliance for sanctions compliance professionals, attorneys, export controls officers, senior management and business lines in a variety of industries, including financial services, oil and gas, insurance, commodities, entertainment, sports and many others. We offer customized training and virtual training webinar series that teach you practical skills, insights and essential information you and your colleagues need to help do your job better and identify and control risks. The live and on-demand webinars of SanctionsAlert.com are designed for sanctions compliance professionals, senior management and business lines leaders at a wide variety of corporations, financial institutions and government agencies worldwide. Our focused training includes case studies developed from sanctions experiences worldwide. In addition to training, SanctionsAlert.com provides outstanding information, including a unique OFAC Enforcement Action Database with more than 900 cases. Saskia is a Certified Anti-Money Laundering Specialist and an industry leader on anti-money laundering (AML) and related financial crime topics. 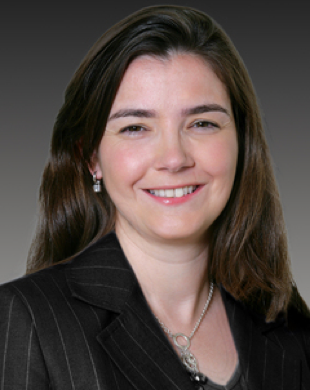 Saskia has over 15 years of AML experience, in the USA, Latin America and Europe. Stemming from her global footprint, she applies valuable expertise and insight into international training, and financial crime compliance projects. Saskia was the founding Executive Director of the Association of Certified Anti-Money Laundering Specialists (ACAMS). She conducts training, independent reviews of AML/OFAC Compliance Programs, designs AML/OFAC Manuals, and AML/OFAC Risk Assessments. Saskia is also Partner at AML Services International, a multi-media training company in the anti-money laundering (AML) and counter terrorist financing (CTF) field. Its webinar series attracts hundreds of financial institutions from all over the world. Saskia spearheaded ACAMS as its founding Executive Director from October 2001 to December 2005. Under her leadership, ACAMS grew from 0-3500 members from 101 countries, and developed the Certified Anti-Money Laundering Specialists Program (CAMS), which has become the de facto AML credential in the financial services industry worldwide. She has served on the ACAMS Advisory Board, and on the ACAMS Exam Preparation Seminar Taskforce. From 2007-2010, Saskia served as Financial Crimes Advisor to Fiserv, a U.S- based Fortune 500 company. She is a frequent speaker in English, Spanish and Dutch on a variety of financial crime subjects. She earned law degrees from Leiden University (Netherlands) and Universidad La Católica (Lima, Peru). She also has an international MBA from Florida International University. She speaks fluent Dutch, English, Spanish and basic German.